13 Mar 2018 --- Natural sweeteners, including stevia, have been trending amid the clean label boom. With 2018 set to be a big year for sugar reduction and with sugar taxes coming into effect in the UK and Ireland, many ingredients suppliers are looking to innovate even further in the space of sugar reduction with new and emerging sweeteners, including stevia extracts. According to Innova Market Insights data, 1 in 3 food and beverage launches tracked with stevia in the EU in 2017 features a low-calorie claim. “Low-calorie” is the top claim in new food and beverages tracked with stevia and brands, are placing a huge emphasis on “low in calories.” The top market categories featuring stevia as an ingredient are the sports nutrition and soft drinks categories. In Europe, the number of food and beverages tracked with stevia enjoyed 11.4 percent CAGR from 2012-2016. The trend of using natural ingredients in beverages has been a huge driver of innovation and trends suggest that this is unlikely to slow down. The rise of ingredients like stevia presents its challenges, however, as there is a paradox in going clean label with sweeteners. 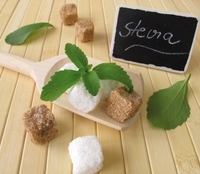 Click to EnlargeSeveral major ingredient companies have increased their presence in the stevia space in recent years, remaining confident on the outlook for the natural high-intensity sweetener. Consumers are increasingly looking for natural sweetening solutions that help them reduce calories and sugars, but they’re not willing to sacrifice on taste. In fact, the most important benefit to a consumer when choosing a sweetener is that it’s “a good balance of taste and health.” Stevia ranked second highest in this attribute, second only to honey, according to Tate & Lyle Sweetener Perception Research, conducted in 2015. Stevia leaf sweeteners have come a long way since their inception in terms of taste and functionality. The leading companies in this space continue investing in technologies that enable stevia-based solutions to allow for higher levels of sugar reduction. Ingredion, in partnership with SweeGen Inc., launched and began distributing BESTEVIA Reb M stevia leaf sweetener in the US and Canada in 2017. BESTEVIA Reb M Stevia Leaf sweetener is a next-generation stevia leaf sweetener with sugar-like sweetness and no bitter aftertaste, which enables significant calorie reduction by replacing sugar in beverages. To deliver on the increased requirements for innovative non-nutritive sweetening solutions, back in 2017, Sweet Green Fields announced a partnership with Tate & Lyle, a leading global provider of specialty food ingredients and solutions, through which Tate & Lyle provides customers with access to SGF’s exceptional line of stevia. This includes the newly launched Optimizer Stevia Line, as well as SGF’s other established “Project Non-GMO Verified” stevia offerings, certified organic stevia and the breakthrough sugar-like proprietary stevia extract Intesse. Tate & Lyle’s global network of application laboratories and scientists support SGF’s unique range of stevia-based sweeteners to help customers accelerate product innovation and improve speed to market. “Consumers around the world are looking for easy ways to reduce sugar and calories in their diet, while still enjoying the foods and beverages they love,” says Abigail Storms, Vice President, Sweeteners, Tate & Lyle. The company’s partnership with Sweet Green Fields is claimed to provide manufacturers with even more tools to effectively formulate healthier and tastier products. “We have already had a positive response from our customers who are particularly interested in natural ingredients and sugar- and calorie-reduction solutions,” Storms adds. In mid-2017, the company announced the successful production of the first stevia leaf extract from a new, breakthrough, proprietary stevia leaf – StarLeaf stevia. The ingredient contains over 20 times more sugar like steviol glycoside content compared to standard stevia leaf varieties. “We believe as companies are continued to be challenged with more significant levels of reducing sugar while maintaining the great-taste their consumers expect, they will increasingly turn to stevia as the plant-based zero calorie sweetener for the best-tasting, reduced-sugar food and beverage products. StarLeaf is sustainable, has a low carbon and water footprint and provides the company a sweetening ingredient which is easy to work with,” Son explains. “We see StarLeaf as being the clear choice as compared to other natural origin sweetener options because of its wide range of applications, being zero calories and being an economically sensible ingredient,” Son adds. Cargill also continues to innovate in the sweetener space given producing sweeteners that bring solutions to the challenges our customers face and to meet consumer needs. In response to these challenges, Cargill developed C*TruSweet Plus, a unique and inventive beverage solution. It is designed to reduce calories in beverages by 50 percent while maintaining great taste in an easy-to-use and affordable way. “Evolving consumer preferences present an opportunity for new solutions and we are constantly expanding our product and service offering to meet these needs,” Frank Maus, Segment Manager Specialty Sweeteners EMEA explains. “Caloric beverages/carbonated soft drinks have been under scrutiny for many years due to their sugar content. Similarly to the focus on salt and fats in the past, the attention now goes to reducing added sugars content in foods. Achieving great taste in reduced and zero-calorie applications can be challenging. 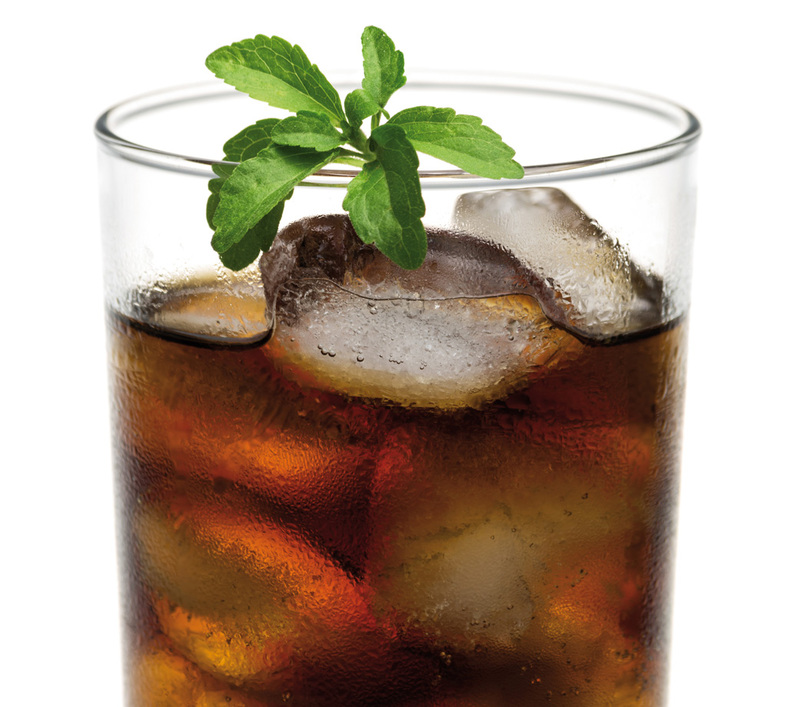 While stevia sweeteners opened the door for new product innovation, some applications remain tricky when stevia sweeteners are used at higher levels,” Maus notes. The food industry is now under attack when it comes to sugar and is actively looking for alternatives. There is also growing and linked consumer demand for natural ingredients. This too, demands a response. Roquette believes that Click to Enlarge in most food applications (except beverages), stevia-type sweeteners do not perform well technologically as they do not add mass (volume) to the finished product. These claims confirm that NUTRIOSE soluble fiber contributes to the maintenance of tooth mineralization by decreasing tooth demineralization; and that it also induces a reduction in postprandial glucose. In addition to promoting a reduction in general sugar content, public health authorities recommend reducing the sweetness itself of food products to help consumers gradually come to expect less sweetness, according to Roquette. “This leads to a gradual decrease in the general level of sugars, an approach that in turn is leading to a niche market responding to a growing demand for healthier biscuits, energy bars and sugar-free chocolate,” notes Gilliard. SweetPearl maltitol is a low-calorie (2.4kcal / g) sweetener with a low-glycaemic index that is good for the teeth. “Easy to incorporate, it can replace sugar on a simple one-to-one basis. SweetPearl maltitol also helps reduce calories and glycemic response without compromising taste or texture,” he adds. 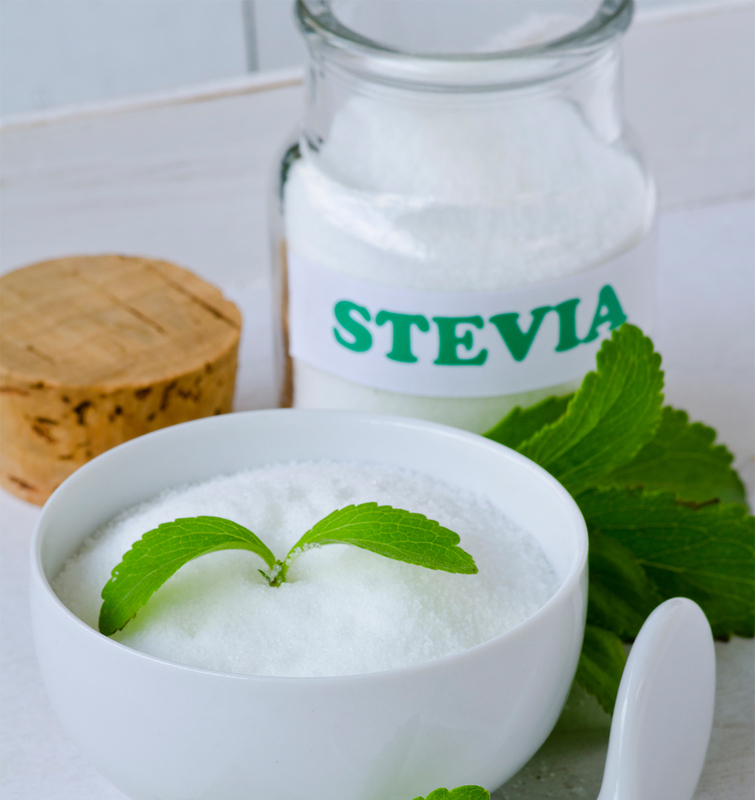 As a whole, it does look as though stevia has a solid hold on the food and beverage industry as it continues to appear in ingredient lists globally. As a strong competitor to many artificial sweeteners, stevia extracts appeal to today’s mindful consumer. Other emerging natural sweeteners in this space include oat, spelt and date syrup, which will lead to increased innovation in using ever more plant-based sweeteners.